My LG Refrigerator has an odor inside. I know it is not the food or anything that has dripped down underneath the fridge. I have cleaned the complete inside of my LG french door refrigerator with a mixture of baking soda and water and a solution of vinegar and water. It is not a chemical or rotting food smell. It is more of a dirty smelling odor that keeps coming back. I was told by my appliance technician over the phone that my refrigerator may have an air filter that filters the air and circulates it throughout the inside of the fridge. He said this may be causing the odor that I smell inside my refrigerator. 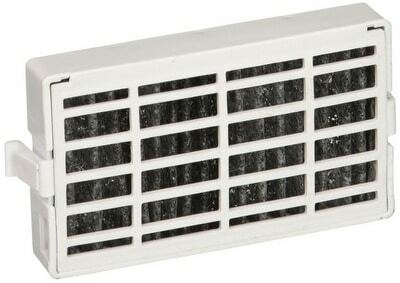 Is there an air filter in my fridge and if so where is it located? 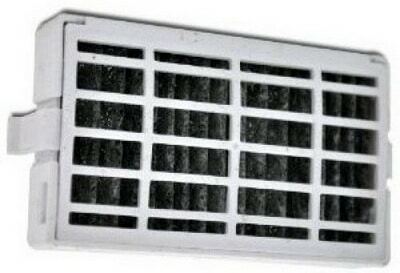 Refrigerator Has Bad Smell Inside – Does My Fridge Have A Dirty Air Filter? 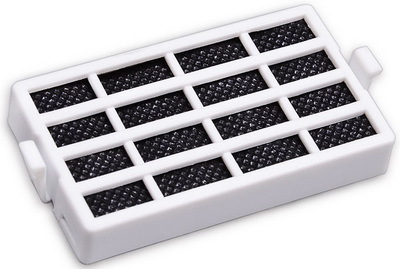 What is the purpose of an air filter in my refrigerator? 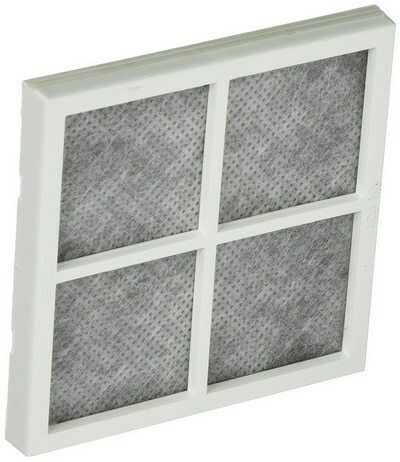 Most newer refrigerators DO have an air filter. 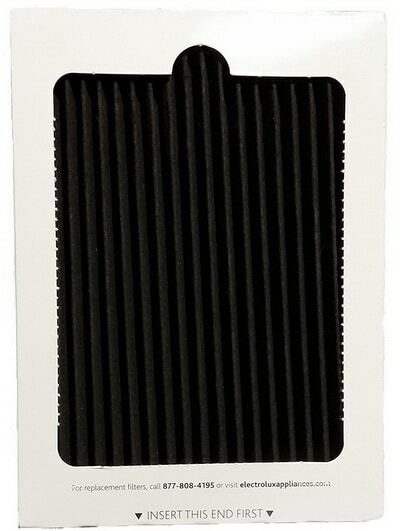 This air filter filters all the air that your refrigerator circulates. 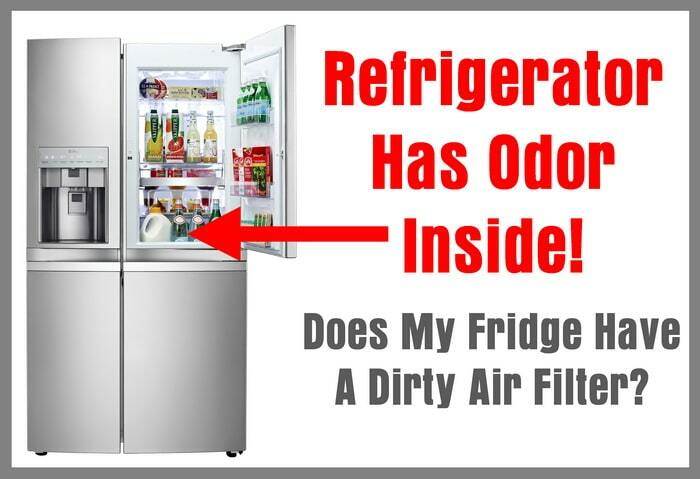 It works when there are odors inside the fridge (such as open containers of food or spoiled vegetables or spoiling fruit) as the air filter traps the bad odors and filters clean smelling air back into the fridge. It has been shown that a refrigerator air filter can filter and clean the air in your fridge 8 times better than a box of baking soda. 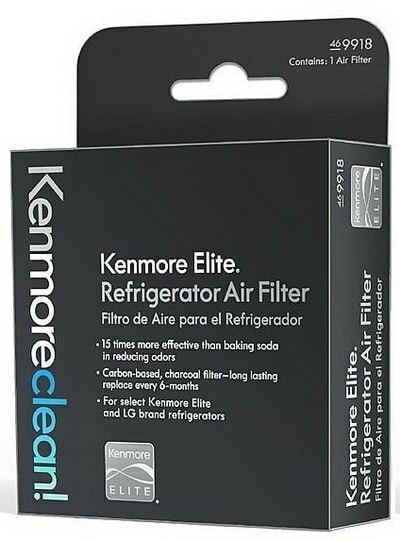 Does your refrigerator model have an air filter? 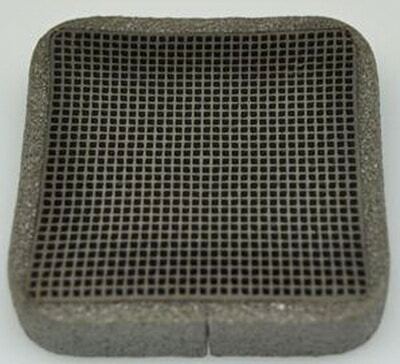 If your refrigerator DOES have an air filter it is usually located inside a housing either being cylindrical or flat. The flat ones have a tab sticking out to make it easier to change. Newer french door refrigerators and side by side refrigerator models usually have an air filter. Check your owner’s manual to see which air filter to install in your refrigerator. 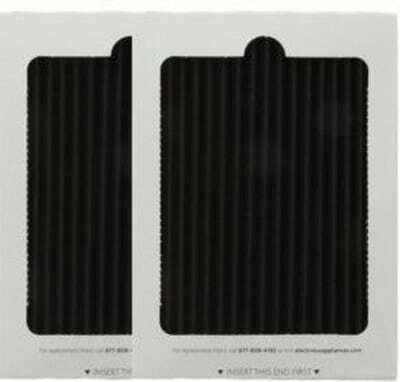 When you find out which filter you need, make sure it is the correct size and is compatible with your model number refrigerator. 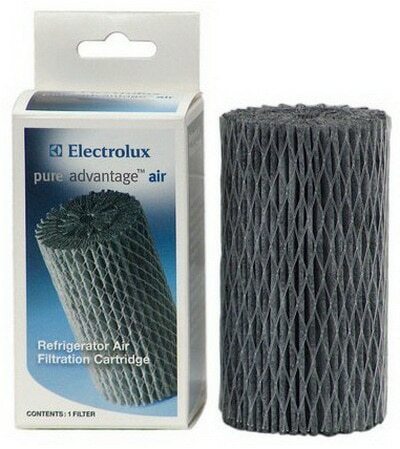 NOTE: Usually buying OEM refrigerator air filters are your best bet but may cost a little more. 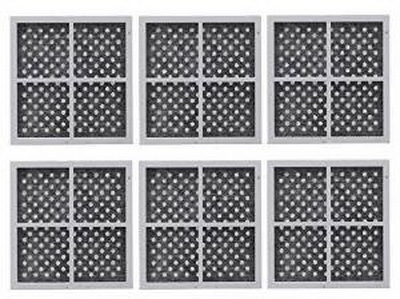 How often do I change the air filter in my refrigerator? 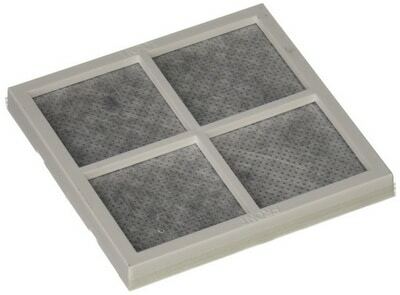 The air filter in your fridge should be changed every 6 months. 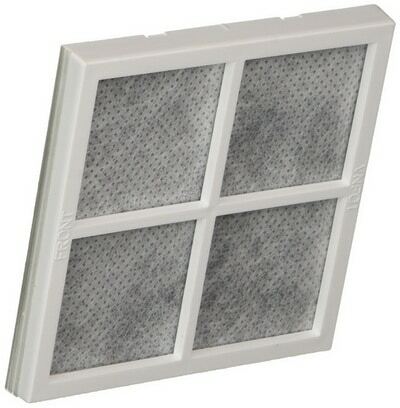 Most refrigerators that have an air filter have a filter monitor built in. This monitor will tell you when to change the air filter. 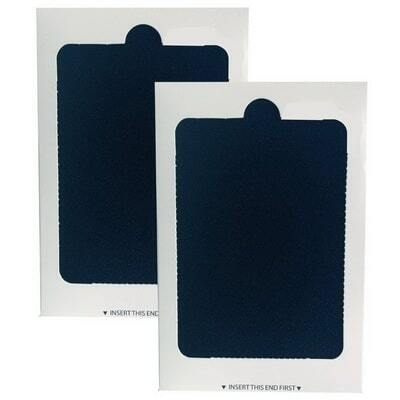 If you are installing a new air filter in your fridge you will have to push a reset button. Hold the reset button until the filter monitor flashes and resets. 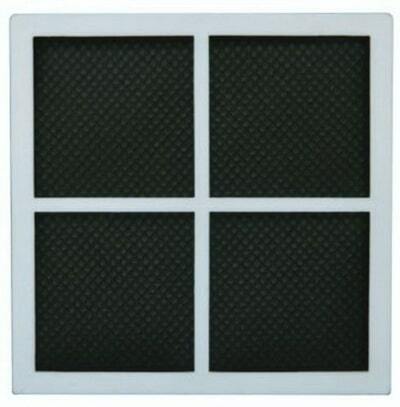 Changing an air filter on your refrigerator takes about 10 minutes from start to finish. How do I keep my refrigerator smelling fresh? Get rid of any food that is spoiled or past its expiration date. Deodorize the compartment by washing it with a solution of baking soda and water or vinegar and water. Wash inside the complete refrigerator including the door gaskets, shelves, and crisper drawers. Once the refrigerator has been deodorized, install a new air filter and your fridge will smell fresh and clean for the next 6 months. 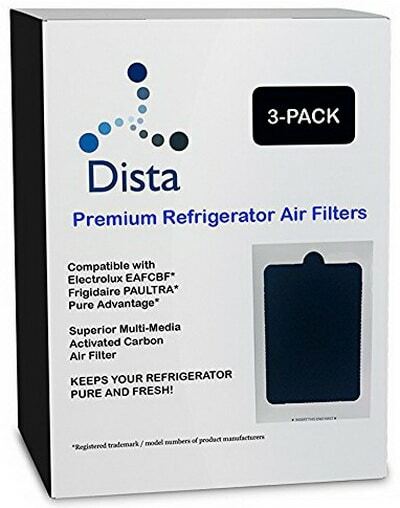 Below are some of the most popular Refrigerator Air Filters. Look through the list and find your refrigerator brand. 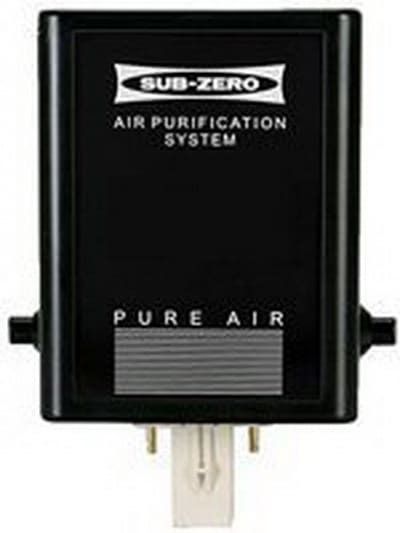 Once you find your fridge brand, click the air filter image for more specific details and pricing. 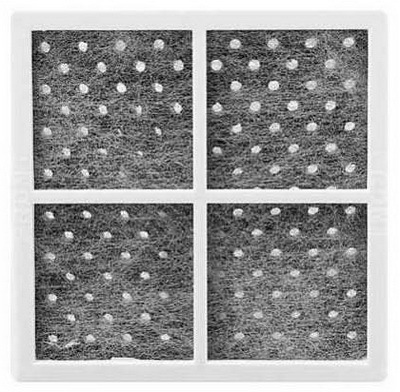 Have questions about refrigerator air filters? Please leave your questions below and we will assist. Previous post: LG Front Load Washing Machine Error Code tE – How To Clear?